My life not only requires me to find my bearings in different countries and places, but also riding different horses at different stables. Different horses have different ways of listening and communicating and every time I sit in the saddle fustrated that i cant find the right mode to connect. my hands a little lower? My posture a bit more straigtened up? It reminds me of the difficult moments to figure out a culture and nationality. Exactly what are the do’s and don’t-s? How do I and my children make friends? Can my children just ring at neighbor door bels asking to play like they got used to in the previous countries they lived? At my riding lessons I have at least a riding instructor at hand, but in my day to day American life, I have not. What I have found so far is the eminent importance of making expectations match reality. How? 4 Try – and this is the most difficult part – to turn dissapointments into inspiring lessons you want to learn from. 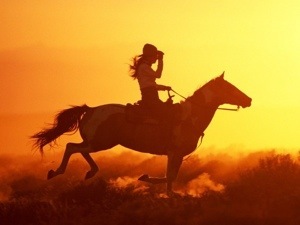 So, if you get into the saddle, be ready for the ride. And whilst you will never be ready as to know what to expect, you should be ready to go! Good luck on your different rides & have a great Easter! What great advice and perspective, Brigit!